SIMI VALLEY, Calif. — Dignitaries attending the annual Reagan National Defense Forum here opened their daylong discussion of security issues with a tribute to former President George H.W. Bush, who passed away Friday night at the age of 94. Bush, a naval aviator who earned the Distinguished Flying Cross in World War II, rose through the political ranks in his post-military life to become vice president under Ronald Reagan and president afterwards. 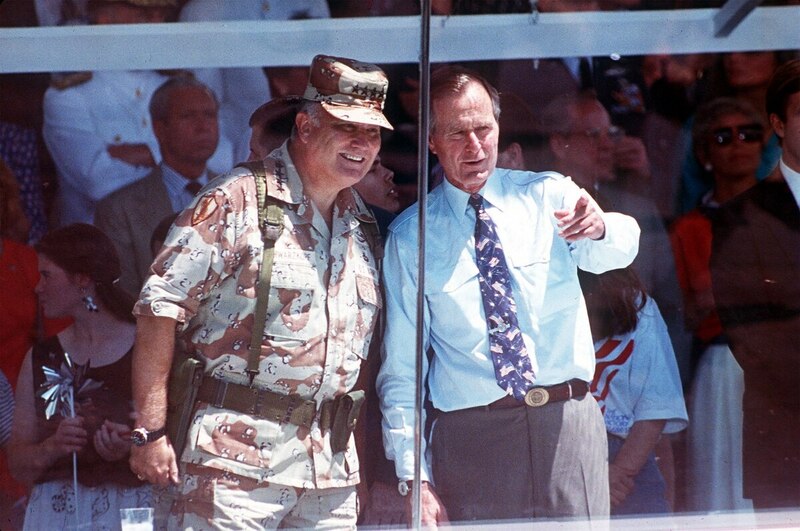 As commander in chief, he oversaw the deployment of U.S. troops to the Middle East in the first Gulf War and was lauded on Saturday for his focus on the military and dedication to the country. Even as the Pentagon speaks about the importance of strategic cooperation with China, differing approaches to technology development could leave the U.S. struggling to keep up. Fred Ryan, chairman of the Reagan Foundation, called him “a true gentleman” who showed the “nobility” of public office and military service. House Armed Services Committee Chairman Mac Thornberry, R-Texas., opened the day’s events by asking attendees to consider lessons on handling today’s national security challenges facing America today by reflecting on the end of the Cold War during Bush’s term as president. “Even now I think we underestimate what an incredible challenge it was to manage the collapse of the Soviet Union,” he said. Defense Secretary Jim Mattis released a statement following Bush’s death Friday noting that the Navy veteran “took his experience in war to build a better world as our commander-in-chief. “We will miss him, but at the going down of the day, his example will long guide our sailors, soldiers, airmen and Marines for how to live life without regret,” he added. President Donald Trump on Saturday declared a national day of mourning for former President Bush on Dec. 5 and ordered flags flown at half staff for 30 days in tribute to his life. Bush is expected to lie in state in the Capitol Rotunda in coming days.